Here at Thunderbolt Digital, something we’re passionate about is good web design Surrey, effective SEO and proper use of social media; we have the tools to help local businesses in Surrey and Hampshire reach a wider audience and communicate directly with their target audience. Communication with your intended audience is crucial, as failure to take heed of users’ needs and desires can alienate them from your business and lead them to go elsewhere, which is what seemed to happen with Google Plus. It may surprise anyone that, despite having user numbers higher than the social media giant Facebook, Google Plus actually has relatively few active users of the service – the number is thought to be less than ten percent of those with an account. This is most likely because of the past update that required YouTube users to create a Google Plus account, as well as the feature that creates a Google Plus account when a user signs up for one of the other Google services e.g. Gmail. However, Google Plus isn’t as much as a ghost town as most believe – features like Communities acquire 1.2 million new users a day and Collections, since its launch five months ago, is doing even better. After the outcry at mandatory Google Plus and Youtube account linking a few years ago, Google did the smart thing and listened to users’ complaints by scrapping the idea. Google also took heed of the numbers showing the most popular areas (Communities and Collections, as mentioned above) and is now launching a redesign of Google Plus to focus on these favoured features. 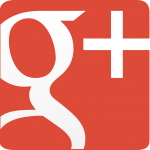 If Google continues to focus on and improve features of their service that users both use and approve of we might eventually see the end of Google Plus being used as more of a punchline than a social media site. If you’re feeling disconnected from your target audience, why not talk to us? Based in Farnham, Surrey, we at Thunderbolt Digital understand the importance of good marketing and SEO (Search Engine Optimisation). We have a full in-house team that will provide you with expert social media services, hosting, and web design Surrey. If you want to know more about how Thunderbolt Digital can help put your business on the map please contact us on 01252 413757 or by emailing howdy@wearethunderbolt.com – our team would be delighted to assist you! Next Post >> My Site’s Been Keyword Optimised, So Where’s My Traffic?